3.04.14 – Have you heard of B Corp? Learn about what they’re doing to help the world. Be the change here. 2.27.14 – Still not caught up on the latest Oscar flicks? Create an elegant movie night menu with nominee-inspired recipes here. "10++++++ Great food, great chefs, and great people!! We had other options, but this one stood out from the rest." "The event was great because it took everyone out of the office and put them all on the same playing field." "We wanted an interactive event for 85 people visiting SF. The event and location were perfect! Everything was incredibly organized and I didn't need to lift a finger. All guests were engaged and having a great time." "You were able to take our high stress employees who work around the clock, and get them to relax and have fun. Everyone seemed genuinely excited throughout the event." Cook Your Way into Spring! If you haven’t yet adjusted to the “spring forward” time change last weekend, you’re not alone. Re-energize your team, launch a new product, or celebrate a successful Q1 with a cooking party. Get the whole company together! We can handle up to 350 guests. Secure your date, reserve your choice venue, and start planning an unforgettable event today. A family-operated industrial winery in the heart of Redwood City, La Honda Winery is one of our favorite (and most popular) venue partners. An unsuspecting exterior masks tall ceilings and warm lighting within this hidden gem. We love it because the La Honda team is a dream to work with. Why do clients like it so much? Maybe because it’s large enough to accommodate up to 100 guests, yet small enough to make any group size feel at home. Ask about hosting your next Parties That Cook event at La Honda! With Fava Beans available in the produce aisle, it's time to spring into action and try this super simple recipe. 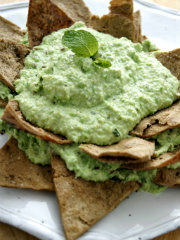 Fresh flavors and healthy ingredients make our Puree of Fava Beans and Sweat Peas a delicious option for light eating! Juice in your eyes. Seeds in your juice. Unripe citrus. Check out this quick video tip for a simple way to juice a lemon and eliminate problems! Meet your new favorite dish for the coming season: Asparagus bundles wrapped in Prosciutto. PTC Founder & CEO, Bibby Gignilliat, introduces the recipe and provides a vegetarian bundling alternative here. It was only natural Parties That Cook would open a Chicago office— our Founder & CEO, Bibby Gignilliat, is an area native. Now there's a team building takeover! Find out why it matters here. Couples cooking classes are the perfect way to spice up "Date Night". 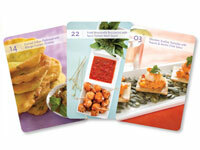 Give your sweetheart a cooking class gift certificate they can redeem anytime throughout the year!